Hi my name is Madie! I am one of the owners of Grit Fitness and also a Certified Whole30 Coach. I’d LOVE to share my Whole30 experience with you, so you can live your best life and feel the healthiest mentally and physically you’ve ever felt. You can read about my entire Whole30 experience here. Here's a few of my favorite Whole30 things I’d love to share with you. Here’s a couple of my favorite Whole30 compliant things! I shop mostly at Aldi’s, Walmart, Costco, Amazon, and Thrive Market. When you join one of our Whole30 Support Groups you will receive a master list to each store. Here’s a couple of my favorite Recipes! I also recommend ordering the newest Whole30 Slow Cooker Cookbook or the Whole30 Fast and Easy Cookbook, they are phenomenal with so many great recipes. 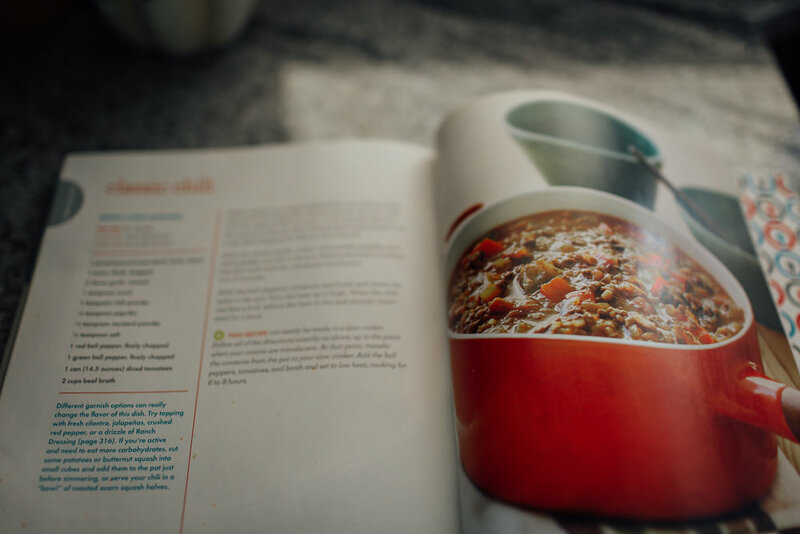 Also, my favorite recipe in the Whole30 Book is the Classic Chili on page 342. Here’s what my typical weekly meal plan looks like. When you join our Whole30 Support Group you will receive a new meal template each week with a grocery list specific to that meal template.